We thank you for your interest in our magazine. This year we tried to inform you about the worldwide real estate market. 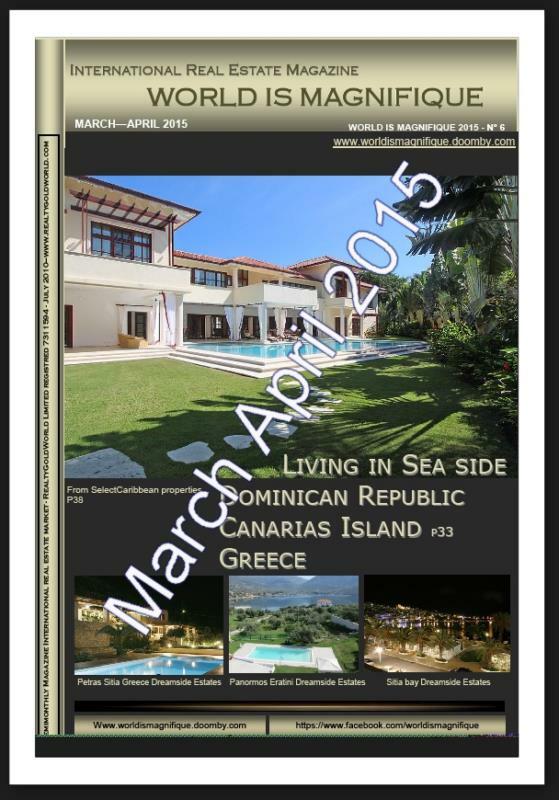 This month, you will also find special Greek properties and Dominican Republic page, but also some beautiful properties from our announcers in different country.